There are a variety of reasons behind my general lack of alcohol consumption. I don't handle it well-so I'm always worried about affecting my training (lame, I know), I don't have the greatest stomach lining (that's what happens when you've taken more NSAIDS than advisable for long periods of time in the past in order to run), I never want to be hungover again, and mostly, other than the occasional glass of sweet white wine, I just don't really enjoy the taste. In order for an alcoholic beverage to taste good to me, the taste of the alcohol more or less needs to be completely disguised by all sorts of sugar in some sort of caloric nightmare of a beverage. Because I like food, as my coworker often puts it, I'd rather eat my calories. Sure, a mudslide tastes good, but a giant bowl of ice cream tastes even better. I always tell myself that I'll enjoy an adult beverage after my Ironmans, when I don't have to worry about training or calories, but then I always find myself too nauseous to even think about them. The more I think about it, though, the more I realize that the real reason that my alcohol consumption has gone from occasional to rare to practically never is because really, Ironman training is actually fairly similar to drinking. So, below, I've presented some points to support my argument! 1. 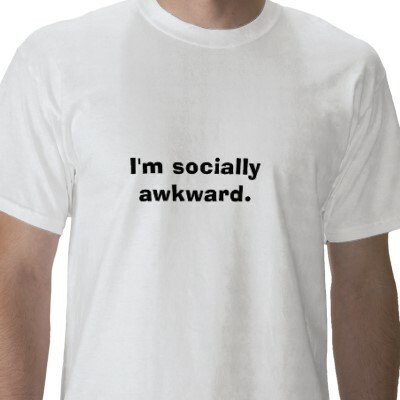 Both make awkward social situations less awkward. When it comes to Ironman training, I'm actually too tired/have to get up too early to ever really go out into social situations. The most social I get is basically the occasional Friday night facebook conversation with my equally awesome QT2 teammates. These interactions are never awkward. Problem solved. 2. Zoning out=entertaining in its own right. Time becomes warped; you don't completely understand what's going on around you. The other day at work after a few hours of training earlier that day, with 20 minutes until my next patient, I sat down behind my paperwork. I opened a chart and started writing. Five minutes later, I then realized that I wasn't writing anymore. In fact, I wasn't doing anything anymore. I'd say that I was staring, but I don't even think what I was looking at was registering with me. My mind had become some blank, happy place. Forming a coherent thought then required a good deal of focus. But it was ok. The time was somehow passing by more quickly. 3. You become inexplicably clumsy. After long workouts or in the middle of long weeks, holding onto small objects suddenly becomes a gargantuan task for me. I think that my pen flies out of my hand at least 5-7 times each workday. I dropped a clementine on the floor today, rinsed it off, and then almost dropped it again while I was drying it. I also routinely walk into things for no good reason. The giant exercise machine at work? I swear it moves. A fairly accurate depiction of what occurs multiple times daily. I drop something, my patient feels bad for his/her clumsy physical therapist, we both go to pick it up. 4. Drinking beverages in the shower somehow makes sense. After my last ever collegiate cross country meet, my roommate Kate and I came back to our apartment, knowing what awaited us-the $5 bottle of Tom Collins mix she had bought from Target that summer for this occasion (we were awesome). 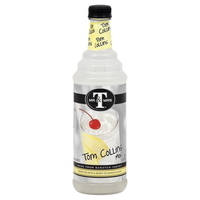 We mixed up our pitcher of Tom Collins (which, because it actually tasted good to me, was probably like 2% alcohol-our normally fly-like alcohol tolerances had been turned gnat-like after a season off). Neither of us wanted our Tom Collins enjoyment to be interrupted, so we both took turns showering while drinking our beverage. Ironman training also prompts me to mix drinks for the shower. Water bottles used to mix Endurox are a normal sight just outside our shower on the bathroom sink, as I often mix some up quickly, then run upstairs to shower before I have to head to work (or before I start absolutely freezing after running outside on cooler days). Every time I take a sip of the Endurox, I remember the Tom Collins with fondness, and pretend that I still pretend that I'm cool every now and then. I think this might in fact be classier than our mix. 5. Nausea is a normal part of going hard. I had several friends/acquaintances in college who were able to throw up and then continue drinking. In fact, some of them would even induce puking in order to continue drinking. This entire idea both mystified and disgusted me, as, under normal circumstances, I live in fear of puke and will do anything within my power to avoid throwing up-barfing is literally the worst thing in the world that my body can do. That is, I didn't get it until I began training for/racing longer events. I will qualify this by saying that I have never (knock on wood!) 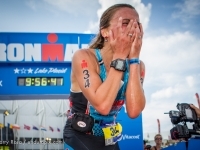 thrown up during/after training or racing (minus the occasional reflux issue in the pool...TMI?). However, I've been very close...and when in those situations, I honestly stop caring if it happens or not. I remember crossing the line at the Flower City half marathon a couple of years ago after spending the last couple of miles of the race trying not to puke, and immediately realizing that I was going to lose it-but in that moment, it was somehow ok. I ended up (to the horror of the poor little volunteer holding my medal) just violently dry heaving with no shame whatsoever. I spent the last 10 or so miles of IM Florida simply wondering whether or not I was going to barf, with no great desire either way. 6. Minus the rampant muscular breakdown, the day after an Ironman is remarkably similar to a hangover. Headaches. Dehydration. The vague realization that a lot might have happened the previous day, but you don't remember a whole bunch of it. The temporary comfort that coffee provides, until the rebound effect hits. The fact that you feel like you should have slept great the night before, but in reality, you got four hours of totally interrupted sleep due to the fact that you stayed up late, then spent the rest of the night waking up miserable every time you moved and dragging yourself to the bathroom every now and then. As I've gotten older, I can no longer remember the last time I was hungover, because I now hate it and (as previously mentioned) avoid it at all costs If I'm going to feel hungover...I want to earn it by doing an Ironman, not by drinking. Then, I actually enjoy it. 7. Food becomes more amazing. The extent of my alcohol consumption for the vast majority of this past year came in the form of a glass or two of wine prior to dinner the times I find myself in social situations every 3-4 months. Every rare occasion this has happened, I've then eagerly eaten my dinner, finding it tastier than I could have imagined. This is similar to what happens after exercising for 2-5+ hours on a regular basis. Everything tastes better. Mmm. 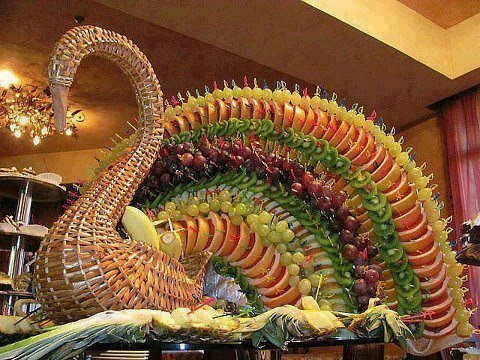 Ironman training makes all food seem like it's presented like this. Well, there you have it. In reality, though, while I could care less if others drink or not and understand what the appeal generally is (in moderation-I also have ZERO tolerance for drinking and driving), another big reason why I don't feel the need is because the highs of this sport generally do it for me. So, I'll happily give you a cheers with my water and head onto my bike tomorrow, knowing that I'll end up sort of out of it and dropping things the rest of the day anyways! All I had to do is read the title to agree, but this actually inspired me even more to become a triathlete and finally put words to what I subconsciously adhered to in college. Wonderful post - love it! I also thought, "ya know, endurance athletes and long distance runners make the best random topics bloggers because we have all that time to witty-ily come up with strange things in our heads - i mean what else do we have to think about besides food? And there ya go now people can stop asking us that question!" It take smart, really intelligent people to know how to zone out while putting their body through such physical feats; it's only natural that we would come up with awesome blogging topics as well. And this post is evidence. Haha, thank you Tori! I know, it's amazing how it's possible to turn the mind off and on when needed. My workouts involve a variety of thinking about completely random stuff when the going is easier, and then not thinking about anything when the going is harder! I personally would LOVE to see you in the triathlon world too, by the way!! Barefoot running/minimalism-what are the facts?